This month I am teaching the preschoolers at PromiseLand about the church. Last month I focused on Jesus and His life, death, burial, and resurrection, so obviously the next thing is the church. To make this transition from the cross and resurrection I backed the kids up to the life of Christ and what He was doing the three years of His public ministry. We talked about some of the miracles He performed and we talked about how everyone all around was talking about this man named Jesus. In the 16th chapter of Matthew we have Jesus walking with His disciples and He asks them amidst all the fuss, “who do people say the Son of Man is” (Matthew 16:13)? The disciples ramble off several of the top declarations that were going around town, but then Jesus asked them, “who do you say that I am?”. It doesn’t really matter who others think Jesus is, it only matters who you think He is. Peter boldly declares that He is the Christ, the Son of the Living God (Matthew 16:17) and Jesus then tells him that it is upon the rock that He will build His church. and I asked them if this is what Jesus meant when He told Peter that upon this rock He would build His church. At first they were not sure, but then I reminded them that we had just learned that Jesus was the Rock. 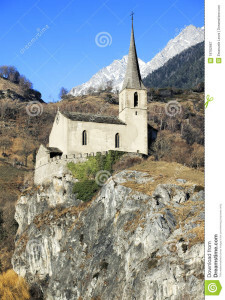 So if Jesus was the rock, then who is the church? At this point I showed them a picture of a group of kids. They then learned that people are the church. We who believe are the church. Before the cross the Lord made His presence known through all creation. He has always left us a witness and a testimony of truth. Then the Lord called out Abraham and from Abraham He called out a nation to be His. This nation was to live by His laws and commands because out of them would come our Savior. God was at work in our fallen world preserving His promise of redemption and restoration that He made to Adam and Eve all the way back in the beginning. His Spirit was placed on individuals for moments to allow them to do His will at a particular time, yet His Spirit would leave. His Spirit was with those who sought God, but now in Christ, because our sin was dealt with, His Spirit could now LIVE IN us and would never leave us again. One lone microbot could not do much. It could not hold anyone up. It could not take anyone anywhere. It could not build upon itself. However when it linked up with all the other microbots there was nothing they could not do together. What made the microbots so powerful was their working in unity. They did not all do the same thing, but when each did what they were individually called to do in the group of microbots, then they were powerful. The power behind the microbots and their unity in their individuality was the fact that each one microbot was being controlled by the same one thought. They all served Hiro. When they were no longer connected to him they were powerless. No longer held together in unity by Him, the microbots simply crumbled to the floor defeated and lifeless. There is one body and one Spirit, just as also you were called in one hope of your calling; one Lord, one faith, one baptism, one God and Father of all who is over all and through all and in all. But to each one of us grace was given according to the measure of Christ’s gift. Therefore it says, “When He ascended on high, He led captive a host of captives, And He gave gifts to men.” (Now this expression, “He ascended,” what does it mean except that He also had descended into the lower parts of the earth? He who descended is Himself also He who ascended far above all the heavens, so that He might fill all things.) And He gave some as apostles, and some as prophets, and some as evangelists, and some as pastors and teachers, for the equipping of the saints for the work of service, to the building up of the body of Christ; until we all attain to the unity of the faith, and of the knowledge of the Son of God, to a mature man, to the measure of the stature which belongs to the fullness of Christ. The microbots are not trying tell each other what they should do and how they should do it. There are not divisions of microbots that are trying to tell the other microbots how to do the microbot thing right. No, they are each one individually connected to the head, each one being controlled by the head, yet somehow all working together in unity. Oh church this is our greatest secret to the world. If we, each one, will hold fast to the Head, to Christ, then we will be like those microbots. We will be able to be the hands and feet and mouth and eyes and ears of Christ. We will be able to be the path of and to the Way, the Truth, and the Life. We will serve in a unity that shocks our community and our world. One microbot didn’t turn anyone’s head. Yet when they all joined together and worked individually in perfect unity people stopped to watch. However also notice that they worked together for purpose, for benefit, for good works… not to just put on a show. Today is Sunday. Christians will meet today all over the world. We have a choice as we meet. We can spend our time this morning talking about the world events, teaching the traditions of men, and puffing ourselves up with emotional experiences or we can empty ourselves and lay it all down at the foot of the cross and seek Christ and Christ alone. If we will all die to ourselves and take up our cross and follow Him imagine what that would look like! United in our message, in the gospel of Christ. United in His Spirit that dwells individually within all who believe. United together in love, by love, for love. Hiro and his microbots would have nothing on Christ and His church! I am continuing my reviews of books on prayer based by the new movie release War Room. This week I am sharing about a book written by Stephen Kendrick and Alex Kendrick, the producers, writers, and directors for the movie War Room. This book is written to help teach preschool age children about prayer. Peter’s Perfect Prayer Place is a book containing a cute story of a little boy searching for his perfect place to pray after he realizes that he sees his mother talk to God in a specific place every day. After he struggles to the find the just right place, his parents talk with him about how he doesn’t need a “perfect place” for God to hear him because God hears his prayers any time and every place. The treasure of this book is the prayer poster and stickers in the back. This poster can be hung in your child’s room or on the refrigerator for all to see. You can use this poster to teach your child to pray specifically and purposefully. My favorite part is the “God answered” stickers. This can help you to teach your child to not just pray specifically and purposefully, but also expectantly. It’s important to help our children see how and when God answers our prayers. If we don’t do this, then they might become adults who throw words up to God, but never give Him credit for the answers. God isn’t our psychologist that sits quietly and listens while we talk it out. He is our very present help in our time of need. How often do we give credit to answered prayers to “luck” or to another person, or to our own ability to “figure it out”? How many times have we completely missed that God answered a prayer because He did it so smoothly and gradually? Perhaps this is a book not just for our preschoolers… but for we grown-ups as well. More War Room inspired book reviews to come! I am in the process of reviewing several books that are inspired from the new movie War Room. One of the books I am reviewing is a book that is focused on helping a parent teach their child how to pray with power and purpose. One of the greatest tragedies that our culture has committed is the lack of expectation that we have placed on the ability of our children in spiritual matters. These are great introductions to meal time prayers when our children are just beginning to learn to speak, but it is not sufficient to help them stand up against the tools of Satan that will begin attacking them the moment they step into the doors of kindergarten or perhaps even the tools of Satan that have been, are, or will be coming against them in their own homes. This is not the world that I grew up in. The heat has been turned up and if our children are to be able to stand in this day, they must learn how to pray. The book Prayer Works does not just tell your children what praying is, but it goes over the who, what, when, where, why, and how’s of prayer. Think about it, what greater gift could you give your child than to teach them how to stay in constant communication with their Heavenly Father. Praying is something that we need to be taught concerning. Our God has shown us that in His Word. And parents, if praying is something that you need to be taught as well, then get this book. Sit down with your children at bedtime (or anytime) with this book and learn together. Each section is only a few paragraphs long. Then the section closes with some application questions that will open up discussion and an opportunity to pray. In the back of the book you will find a prayer journal. You could write in these pages. You could tear them out of the back of the book. You could use them as an example to start your own prayer journal book. Mine is a simple spiral bound notebook that I can pick up at the Dollar Tree. Below are links to the book at CBD and Amazon. I hope you will pick it up and use it to help teach your children how to pray and to build a lifelong practice of praying with power and purpose. Our family will be heading to New England here in less than two weeks with other families in our C-Group at Central Baptist Church in Decatur, AL. 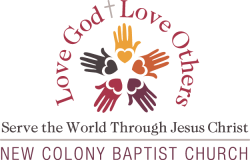 We will be headed to Billerica, Massachusetts to join the body of New Colony Baptist Church to serve along side them in their Super Summer program. This church has been putting on a whole month of VBS for their community for twenty-three years. We are excited to be able to be a part of it this year! We shared our excitement with some dear friends of ours and now Shiloh Baptist Church from Somerville, AL will be heading that way next week to serve during the Super Summer Adventure Week. Our week is the last week and it is Music Week. The Director of Music, Rev. Angie Harrington, directs Music Week. She will be leading the youth and adult members in teaching the children songs, skits, and dances. The children will end music week by putting on a musical for their parents. The children will be learning the musical, Simon Says The Rockin Trial of Simon Peter. I’ve watched the musical online and it’s definitely got potential to be a great show. I’m excited to see what we are going to be able to pull off with it in a week. I have no doubt that it will be a stunning success. They want this summer to be a big party in heaven. One party after another and another and another. I for one am believing that it will be. The seed has been being sown for years and there will indeed be a harvest, because the Word of God never returns void. It will accomplish His purpose. I have spent the morning listening to several of the sermons posted online by Pastor Phil Wilkes because I wanted to hear the voice of their shepherd. I listened as he preached through the first several chapters of Acts and I heard his heart to reach the lost and the hurting. I heard his plea to the sheep of his pasture to not miss the opportunities that the Lord opens up for them, whether they be in the church or in the parking lot of the grocery store, whether they be repeated opportunities or one fleeting moment. I look forward to meeting him and serving under him during our week at Super Summer. I, and a new friend of mine, will have the privilege of leading the Bible study time during our week. We are both ecstatic! As I prepare my lessons to coincide with the names of God we have been given and the truths in the musical the kids will be doing, I can’t wait to teach! I see how beautifully God has woven this closing week together because of the fervent prayers of His people and in my spirit I feel His Spirit stirring. The rest of our team will be serving in music, crafts, recreation, snacks, guides, and our children that are of age will be attending. The opportunity to be able to minister to and with another local body of believers and display in this community the unity of the body of Christ regardless of geographically differences is one we are thankful to take hold of and run with it. In one of Pastor Wilkes sermons I heard him share about a conversation starter he used with a delivery service driver. During the parking lot small talk the driver asked him what he did for a living. Pastor Wilkes responded that he worked for a global company that had branches all over the world. Then he handed the driver New Colony’s “company” card and shared that he was a Pastor and invited the man to church. I love that. The church is global. One church with many branches. Many branches that should be bearing fruit. I am the vine, you are the branches; he who abides in Me and I in him, he bears much fruit, for apart from Me you can do nothing.I pray for boldness. Therefore, I pray for our team and for Shiloh and for the members of New Colony. I pray that we would abide in the vine and bear much fruit. I pray that we would be His hands and His feet. I pray that His Light and His Life would be seen in us and all who see would give glory to God. I pray for God to send us disciples. There is nothing I take more humbling than the opportunity to be used by God to plant seeds of truth in the ears of children. They hear so many lies. They hear so many fictional ideas. They get stereotyped by teachers, family members, neighbors, and other kids. I do not take lightly this opportunity of being able to come in and meet these kids and teach them with absolutely no preconceived identities given to them other than that they have been created in the image of God and He desperately desires them to know Him and be known by Him. Will you pray with me for New Colony Baptist Church. They are currently in week two, it’s Arts & Crafts Week… and if you live in the Boston area and are looking for something for your kids entering Kindergarten through completed 6th Grade to do this summer, then send them to New Colony! At the first of this year I participated in the book launch of Motivate Your Child for the National Center of Biblical Parenting. The book is another wonderful tool made available for parents who are willing to get down and real to see serious and lasting changes take place in their lives and in the lives of their kids. I can’t say enough about how much I love the materials that Dr Scott Turansky and Joanne Miller make available to us. God has truly gifted them both with insight and wisdom into todays parenting challenges along with the ability to help anyone who is willing to learn to walk through the process of conquering those challenges. Click the picture below if you would like to purchase the book that goes along with the action plan. I was a part of the book launch for one of the latest books written by Scott Turansky and Joanne Miller. Life got a little crazy and I was unable to post my review during the launch, but yesterday’s iced in Friday gave me the opportunity to finish digging into the book. One of the most popular parenting strategies of modern day parenting is based on behavior modification, otherwise known as reward based parenting. My parents never bought into this strategy and neither did my husbands… so this is just simply not a parenting tool we ever used. In our house their are standards, instructions, and expectations and they are taught and then are to be followed… period… end of discussion. Our goal as parents has always been to make our children as independent and self sufficient as possible according to what we know they can do. We have always parented with a “this could be the last chance we have to teach them this” mentality. We have always parented with purpose and intention knowing that we had to prepare our girls to be able to make wise decisions on their own and to not have to depend on us to be there standing over them constantly telling them what to do and when to do it. It’s actually quite funny the amount of times that our kids have come home and shared how they had to bite their tongue because they were currently under the authority of another adult who felt they had to tell them “how” and “when” and “why” concerning everything. I strongly support this ministry and these books because they are geared to make your children internally motivated. They want to teach you how to help your children become people of integrity in this evil day. They also want to see you ENJOY your kids. There are some who promote these books because they have seen the changes that learning these parenting tools have made within there home. I promote these books because they line up with the way we have always parented in our home… we just didn’t know it was “parenting tools” we were using, we just thought we were parenting “old school”. Just the other night, my body was rebelling against me once again. I had fallen asleep on the couch waiting on a load of towels to dry as I tried to get warm to ease the joint pain. I was awoken to the voice of my ten year old who shook my shoulders and said, Momma, let’s go to bed. She then headed up the stairs as I still half asleep mumbled after her that I would be up in a minute to tuck her in and do our Bible devo time. When I opened my eyes, the towels were folded. When I went to reach for the dishes that I knew were on the coffee table, they were gone. My ten year old had chosen to take care of those for me. I climbed the stairs and told her thank you as I tucked her in and she said, you’re welcome Momma, I just did all the things I see you do before you go to bed. That’s what these books will teach you how to teach your children… because the simple truth is that many of us who are parents now… were not raised “old school”. Many were not even raised inside the home with both parents. Many of us who have kids now don’t know how to teamwork parent. Many of us feel like we are single parenting even if we are raising our kids in a two parent home. Many of us don’t know there is another way to parent other than the reward based way. Many of us have no clue how to implement the Word of God and the grace of God into our parenting… implementing grace into parenting is something that my husband and I had to grow in and are still growing in as we parent our girls. One of the important realities of life is that God is always watching. We don’t want our children to view God as a cosmic policeman, but instead to recognize that God sees the difficult situations we find ourselves in, understands our desires, and offers us strength and power to do what’s right, even when it’s hard. God promises us grace, and when kids gain a larger understanding of what grace is, it helps them live their everyday lives. Grace doesn’t look the other way when someone sins. But grace does identify with our weaknesses, giving us the strength to handle the tough times and empowering us to trust God for His answers in His time. I assure you that your home does not have to be a war zone. It DOES NOT have to be a place of constant battles. Yes, it might be for a while. But you as the parent must not retreat… you must stand firm until there is peace. If your home is a battle ground now, it is most likely that your kids have already learned your point of retreat. They know how to make you blow. We blow when we are exhausted and feel out of options. If you will pick up this book and read it, then you will be stocked up and fully loaded. You will find yourself confident and ready to do the work. 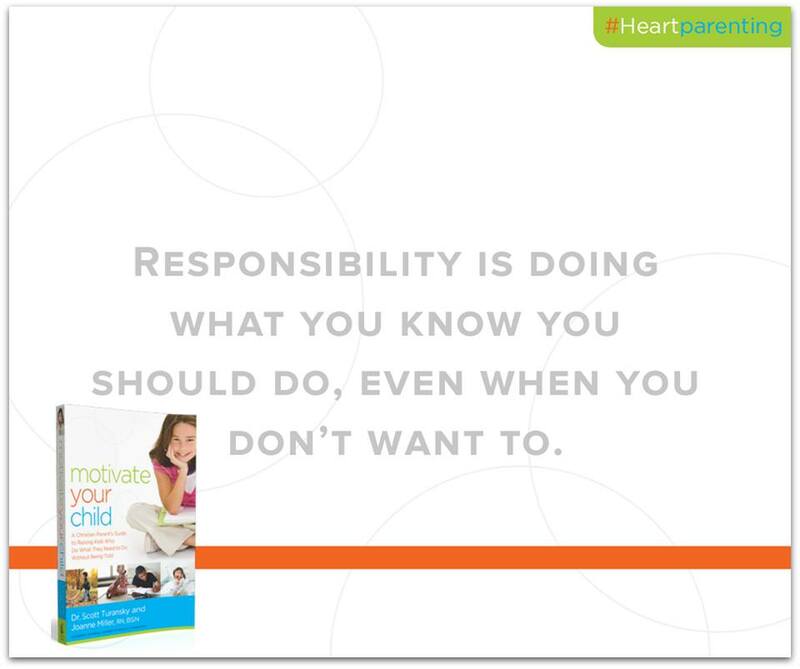 You will learn what internal motivation is and how to develop it in your child. It’s hard work because it’s HEART work… and beloved our hearts are a mess! The heart is more deceitful than all else And is desperately sick; Who can understand it? But the hard heart work is worth it! 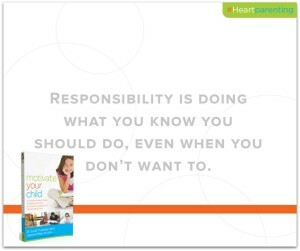 The work you do as a parent doesn’t serve to ultimately control children or to magically determine an outcome. You’re only influencing your children for God’s purposes. It’s God who ultimately changes your children’s hearts. But the daily work you do with your kids prepares the soil for the seeds to grow. Your faithfulness in the face of what appears to be little progress is often the tool God uses to provide a strong witness in your child’s life that will be remembered for years to come. What reasons do you use to get your child to obey? Do you bribe? Do you manipulate? Do you use reverse psychology? Do you intimidate? Do you threaten? Do you yell? How often do you have to give reasons to get them to do the same thing over and over again? 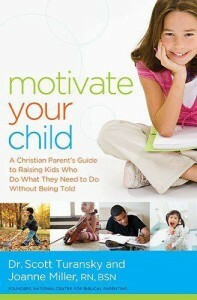 I am excited to be working once again with the National Center for Biblical Parenting on the release of their latest book… Motivate Your Child. As parents our goal needs to be to raise children who make choices according to an internal motivation of what is right not simply what will bring them, at the moment, the best outward benefit. Our children have to learn to make choices with consideration to the big picture and what the long road will look like according to that choice. If we don’t purposely do this we, will find ourselves with another generation of leaders who vote and lead and live according to their current need and what presently benefits them alone instead of with careful consideration as to what will be the actual long term consequences. This December I took my preschoolers at PromiseLand through an advent study. In doing so, we searched into the words of the prophets. Through our search, the little ones learned that when God says something He means it and if He makes a promise He keeps it, and though powerful and mighty, God is also compassionate and generous. God used the prophets to tell of the comings of His Son, and He used them to get the focus of His distracted people back on what He created them to do, which was to bring glory to His name. The words of these prophets in the Word of God serve to remind us that God still expects His own to bring glory to His name. In His Word we see that we do not glorify His name through exalting ourselves in power and might over others. No, God expects His children to represent His image and reflect His character to others through compassion and generosity (Micah 6:8, Zechariah 7:9, James 1:27). He made this truth even more clear when He sent His Only Begotten Son, the Word made flesh. Throughout the Old Testament and still today, we find the people of God distracted. We find them no longer focused on how they can be a blessing to others, but instead they are inwardly focused. Some, so much so, that when the Son of God was right in front of them, they could not look past themselves enough to see that in their presence stood the greatest blessing of God ever to be bestowed upon mankind. As we close out each year, our culture usually turns inward. We search out and pinpoint the things that we simply do not like about our selves or our circumstances. We make this condemnation checklist and resound that by the power of our will we will change these outward things. How about this year we change our condemnation checklist into a blessing budget. This year let us take inventory of our blessings and let us ask God to open our eyes to the needs of others and how we can use whatever is in our blessing budget to meet that need. In Mark 6:34-43 we see how Jesus taught the disciples to use their blessing budget. Here we find the Son of Man teaching one of the many crowds that followed Him. He taught until it was late and the people were hungry. The disciples wanted to send the people away to fend for themselves, but that was not the plan of Christ. Jesus said, no you feed them. It was then that the inventory of the blessing budget was being put together. In their blessing budget all they had were five loaves and two fish. How on earth could a budget of five loaves and two fish feed thousands? With man this would be impossible, but with God all things are possible. When we choose to blow our blessing budget, God chooses to blow our mind! When we choose to see through eyes of compassion with a heart full of generosity, God has a way of supplying us with whatever we need to meet the need of another. We just have to step out in faith and trust Him. Here in Morgan County, Alabama we have seen a need, and we are stepping out in faith to trust God to supply us with what we need to meet it. In Matthew 9:35-36 we see the compassion of Christ as He looks upon the people. What He sees are people who are distressed and dispirited, like sheep without a shepherd. When we look into the faces of so many of our children in the public school system, so many who are in fatherless homes, so many who are stuck in the foster care program, so many who have never heard the gospel of Jesus Christ, and when we see the suicide of young teens scroll through our newsfeed, we also see people, children, who are distressed and dispirited like sheep without a shepherd. You can join us today. Would you partner with us at First Priority Greater Decatur as we seek to bring these lost sheep home to their Shepherd? Today put away that condemnation checklist and start taking inventory for that blessing budget, I guarantee you will discover that your cup runneth over. “I want to give you just a little background about the book so you can appreciate how God leads us even when we don’t know we need leading. For nine years the book sat 90% finished under the working title of “The Ultimate Father Figure.” Over those nine years, I had to undergo a radical change to my approach to parenting because of my arrogance. God has ways to humble us, and mine was through my children as they grew up and left for college. You’re an author. Can you tell us about your book? The book’s title, Parenting Unchained, reflects the freedom that parents can experience IF they understand the way Satan tries to deceive them. You can’t avoid the pitfalls you don’t see! I felt that the Bible has much more to say about parenting than the few verses that speak specifically to parents. I saw in God’s interaction with the nation of Israel, and in Jesus’s interaction with the disciples, many great lessons on how to parent, so those lessons are explained. But most of all, I want Christian parents to avoid the parenting mistakes I made so that Christ becomes real to the next generation.You are self published. I was blessed to be able to publish under the banner of the National Center for Biblical Parenting, so in some ways the process was similar to traditional publishing. Working with them gave me the ability to put their logo on the spine, which brings credibility. They provided the cover artist and interior designer, plus advice on formatting. Dr. Scott Turansky of the NCBP provided the ‘tough love’ editing I needed to improve the book. I’m very grateful to him and proud to be associated with the NCBP. What will we learn in your webinar? Because churches need to involve and train parents, I try to promote close interaction between parents and children’s ministry workers. Participants will learn essential attitudes and actions kidmin workers must cultivate in order to involve parents. You have to make these connections and build relationship before you can train them. Who should register for your webinar and why? Anyone involved in children’s ministry, including senior pastors, children’s ministers and teachers will benefit. Parents are the key to developing the next generation of spiritual champions, so we need to connect with parents and form partnerships with them. A great way to start is to get them involved in the ministry to children at church. And beginning Monday Dec 8th through Dec 12th you will be able to purchase the ebook/kindle version of Parenting Unchained for a whopping $o.99 on Amazon! 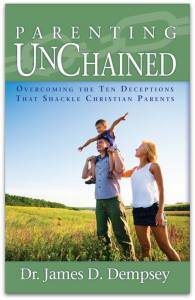 In Parenting Unchained – Overcoming the Ten Deceptions that Shackle Christian Parents, Dr. James D. Dempsey reveals the ten most destructive lies about parenting. He writes from the heart about the way these lies infected his own parenting, and illuminates the Bible’s powerful truths that counter each lie. Both Biblical and practical, each section ends with home activities to help parents take immediate steps to develop their kids’ character–character that lasts when they leave home. The last chapters focus on the most important adjustments parents must make with teenagers to prepare them for independence. Weaving humor into strong warnings, Parenting Unchained points out the hazards that derail the parenting journey. I don’t know about you, but I have learned that it is much better to learn from the mistakes of others, than to go through making the same one’s myself. I have plenty of them to make on my own as I face new unexpected territory every day, and so any help I can gather from someone else who has already gained some wisdom from walking the path before me… I have learned it is wise to listen and learn. I will be sharing my review of Parenting Unchained after Thanksgiving… but until then, here is an opportunity to enter to win your own free copy of the book and also some other awesome prizes! This book contains eight principles every family needs written by Dr. Scott Turansky and Joanne Miller, RN, BSN. You’ll learn practical, handon ideas for helping your kids deal with their anger, constructive ways to end discipline times, and keys that will help children change their hearts, not just their behavior. 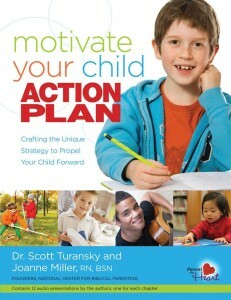 Turansky and Miller offer tried and true strategies in a refreshingly new family-friendly format. This is the parenting book you can read to your kids. RSVP today so you won’t forget!